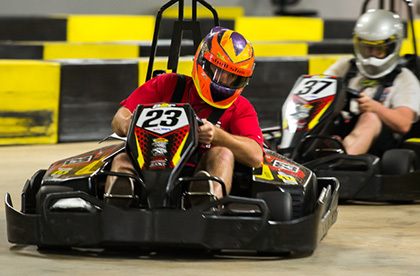 Experience a unique, adrenaline-filled track experience with Pole Position Raceway’s indoor electric go karts. 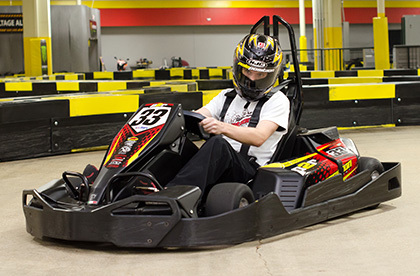 Electric go kart racing at Pole Position in St. Louis features state-of-the-art technology focused on speed, acceleration, superior performance and handling. Simply put, our electric go karts – among other go kart companies – are simply the best in the industry. 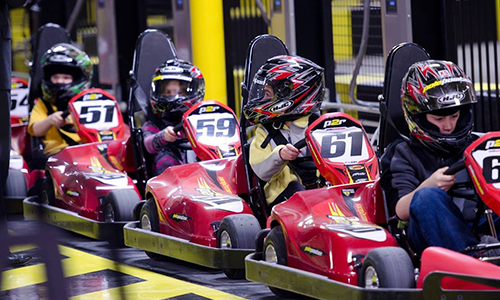 Pole Position Raceway is open 7 days a week to the public and offers open racing daily on a first-come, first-serve basis. For more information, call us today at 314-925-7545 or view our calendar page to ensure the track is not scheduled for a reserved group event and therefore closed to the public.